Morgan Construction was started in 1973 in the mountains of North Carolina. Mike Morgan moved to Hilton Head after almost 10 years of working with his father, starting Morgan Construction of Hilton Head in 1982. Having a tradition of honesty and integrity and choosing to build two to three homes a year allows Morgan Construction to give each project the onsite supervision required to make each client’s dream become reality. One core doctrine that “our client’s peace of mind will direct our company’s future” has set Morgan Construction apart as Hilton Head’s premier custom homebuilder. Specializing in new construction, with over 40 years of quality home-building experience, we are proud to say there is no home-building project we cannot perform. From a kitchen or bath remodel to a residential addition to new construction, Morgan Construction has the experience and knowledge to complete these projects on schedule and within budget. Danny was born and raised on Hilton Head Island. Over the years of growing up in a family of builders, Danny has witnessed firsthand his father’s ethics in business as well as sharing his dad’s satisfaction when happy clients enjoy their new home. After graduating from Hilton Head Christian Academy in 2002, he went on to pursue his dream of playing Division I college baseball. He graduated from Coastal Carolina University in 2007 with a degree in Business Management. Living in the Low Country for over 30 years has allowed Danny to cultivate many business relationships that help provide a quality building experience. 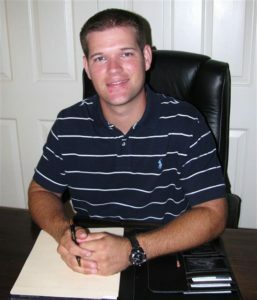 Danny, also holding his license as a residential general contractor in the state of South Carolina, has taken over as owner/president of Morgan Construction in 2014, working hand in hand with Mike on a daily basis. He looks forward to carrying on the Morgan Construction reputation to the fourth generation. Danny and his wife Ashley have a son, Eli, and a daughter, Layla. They reside in Bluffton. Mike was born in Philadelphia, Pennsylvania, and was raised in South Florida. He began his building career working for his father in the mountains of Western North Carolina. Mike married Jenny, his high school sweetheart, in 1974, and they moved to Hilton Head Island in June of 1982. Since then, Mike has been actively involved as an Elder in the Presbyterian Church, a coach of Dixie Youth Baseball and has served as President of Hilton Head Christian Academy’s Athletic Booster Club. 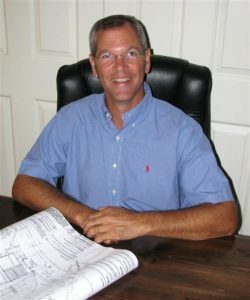 Mike has been licensed as a General Contractor in North Carolina since 1980 and in South Carolina since 1982. He has experience building homes in diverse settings from the mountains to the coast.